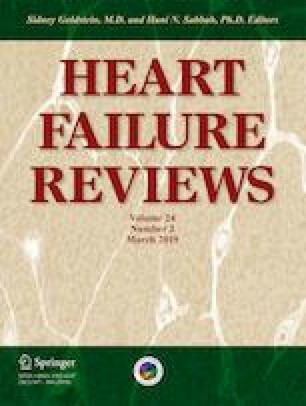 Pathological cardiac remodeling is induced through multiple mechanisms that include neurohumoral and biomechanical stress resulting in transcriptional alterations that ultimately become maladaptive and lead to the development of heart failure (HF). Although cardiac transcriptional remodeling is mediated by the activation of numerous signaling pathways that converge on a limited number of transcription factors (TFs) that promote hypertrophy (pro-hypertrophic TFs), the current therapeutic approach to prevent HF utilizes pharmacological inhibitors that largely target specific receptors that are activated in response to pathological stimuli. Thus, there is limited efficacy with the current pharmacological approaches to inhibit transcriptional remodeling associated with the development of HF. Recent evidence suggests that these pro-hypertrophic TFs co-localize at enhancers to cooperatively activate transcription associated with pathological cardiac remodeling. In disease states, including cancer and HF, evidence suggests that the general transcriptional machinery is disproportionately bound at enhancers. Therefore, pharmacological inhibition of transcriptional machinery that integrates pro-hypertrophic TFs may represent a promising alternative therapeutic approach to limit pathological remodeling associated with the development of HF. We would like to thank Jennifer Barr for critically editing. This work was supported by generous research support from the National Institutes of Health (NIH) Grant R01-HL-125436, the Fraternal Order of Eagles Diabetes Research Center, and the University of Iowa, Carver College of Medicine (to C. E. Grueter).